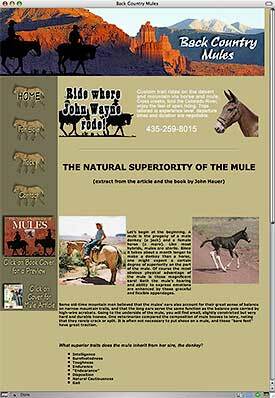 An on-line brochure and information site for mules and mule tack. Contains an “inventory” of mules and tack for sale. Contains book extracts in PDF.